If we are to restore love and relevance to ministry, then we must model the compassionate heart of God. He is as concerned about human aloneness as He is about human fallenness. Prayer Focus: Join Jesus-followers who believe God for a Christ-Awakening. Pray specifically for commitment to radical generosity as evidenced by compassion ministries and global missions. Pray also for individual prayer, fasting and other spiritual disciplines leading to more effective discipleship. Imagine this scene from the Gospel of John. It is a warm, Sabbath day morning in Jerusalem, and you are strolling along with Jesus and His disciples. The road you travel is a busy one. The hustle and bustle of people and animals mirrors the holiday chaos of a modern-day shopping mall. Jesus stops suddenly. You are poised, ready to inquire about the reason for the pause, but are silenced by the intensity in Christ’s eyes. Following His gaze into a shadowy corner, you discover the object of His attention. A blind beggar is huddled alone, barely out of reach from the river of humanity. God’s heart is captivated by human need; God’s people are too often preoccupied with human sin. God dealt with sin for a purpose: to restore relationships—people to God and people to people. God’s heart, longs deeply for relationship. If we are to restore love and relevance to ministry, we must model the compassionate heart of God who is as concerned about human aloneness as well human fallen-ness. 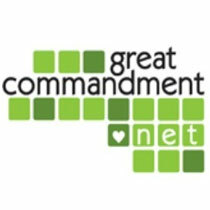 Thank You, Lord, that we will see radical generosity and compassion ministries thrive as we fulfill Your commandment to “love your neighbor as yourself” (Matt. 22:39). We are guilty at times of not seeing people as God sees them. Forgive us, Lord, for not loving others as You love them. Dear God, might we demonstrate compassion toward the distressed and downcast as Christ did: “When he saw the crowds, he had compassion on them” (Matt. 9:36). Jesus, help us to create change in our communities through expressions of service, just as You are among us “as one who serves” (Luke 22:26). Lord, might our churches bring healing to relationships at all levels in our neighborhoods, for “the land is still ours, because we have sought the Lord our God; we sought him and he has given us rest on every side” (2 Chron. 14:7). Can We Repackage the Gospel?